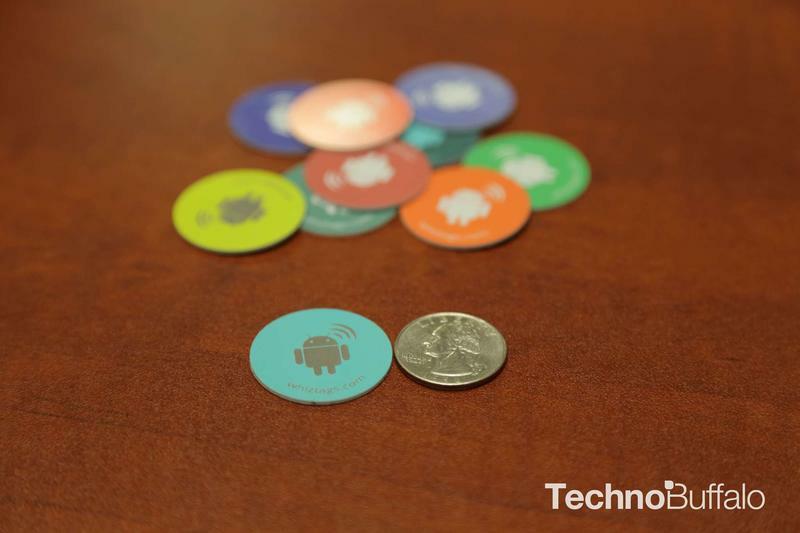 I’ve been a proponent of NFC technology ever since last year’s Google I/O. Google made a big push to integrate it as a core functionality of Android and I was hoping to see its integration be expanded further as the technology improved. 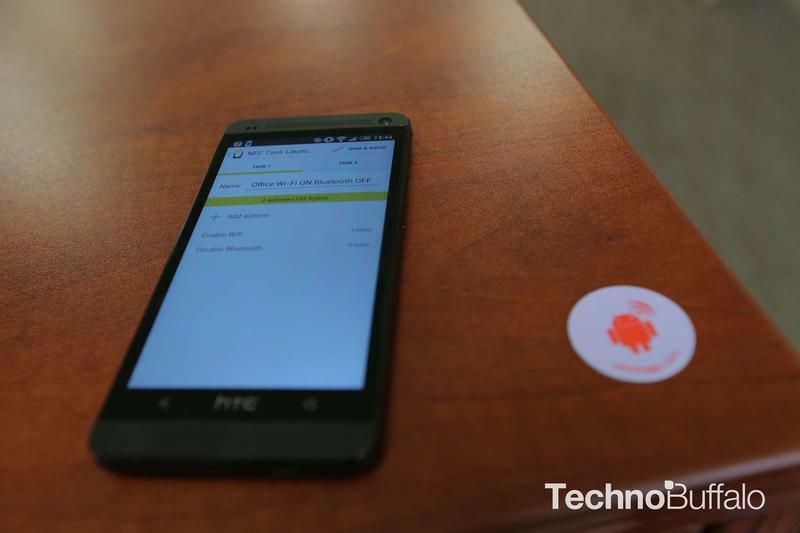 I love the use of NFC tags, I like that I can turn ON/OFF actions with a simple tap of the phone. I love the idea that programmed automators can complete actions with minimal prompts, I am a Microsoft Excel macro fiend. 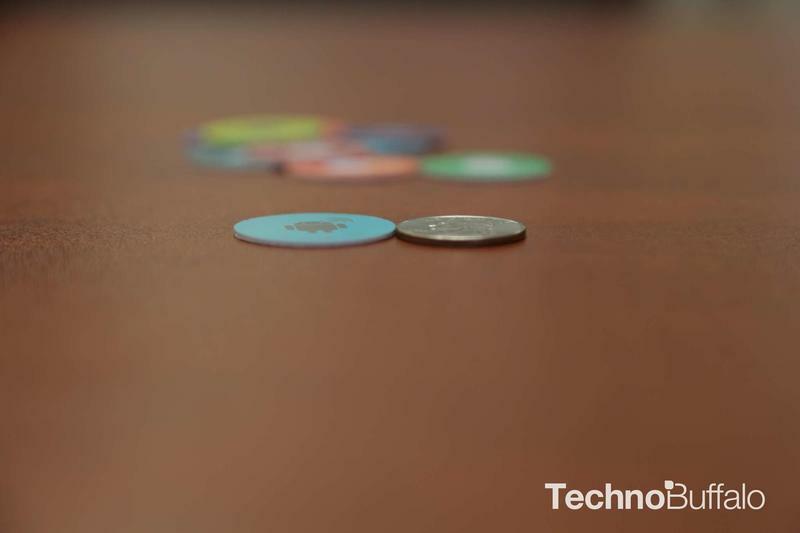 The way we use NFC today is all about efficiency. Honestly, I hope to see more functionality come from this technology in the future. 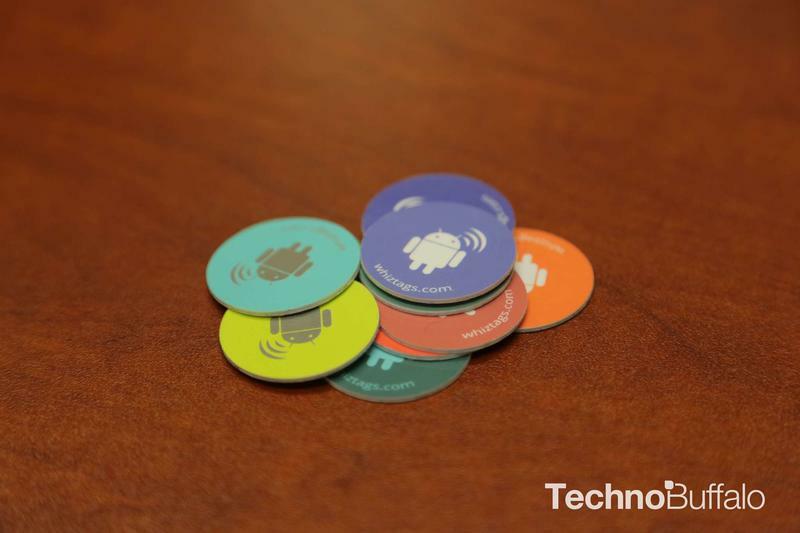 In general I like NFC tags, but most of the available options on the market lack durability. Most of them are cheaply made, overpriced stickers that wear out way too soon. Tags wear down and look unappealing after multiple uses. Enter WhizTags. 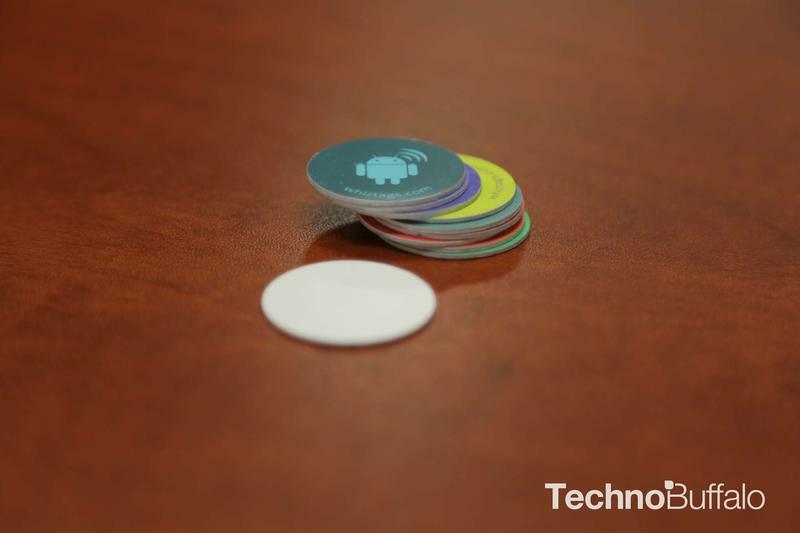 These NFC tags aren’t just stickers, they are circular heavy grade PVC tags that you can stick just about anywhere. WhizTags are roughly the thickness of a credit card and have good sticky 3M adhesive that makes sure your WhizTags last a long time and stay in place. These durable tags aren’t too pricey, a 5 pack will set you back $9.99 and a 10 pack will cost $12.99. Each pack also comes with an NFC keyring. I haven’t yet figured out what I want to use the keyring for, but let me know in the comments what applications you can think of. For the purposes of this project, I used the recommended NFC Task Launcher and programmed the NFC tags with out any difficulty. WhizTags are high capacity NFC tags so you can actually program more commands per tag than I actually used, but I have run into problems with other NFCs where the programming capacity is limited. WhizTag’s website claims it hold 5 times as much storage capacity as other tags. I found the most useful purpose of NFC was to turn ON/OFF Wi-Fi, Bluetooth, and alerts. Which is great for battery life, data consumption and overall good office etiquette (e.g., shutting off alerts when in meetings). I placed one on the corner of my desk. I purposely used an NFC tag that had a bit of color contrast so that it forced me to remember to tap my phone when I got to my desk in the morning. Though NFC functions are “automatic” you still have to remember to enable it. 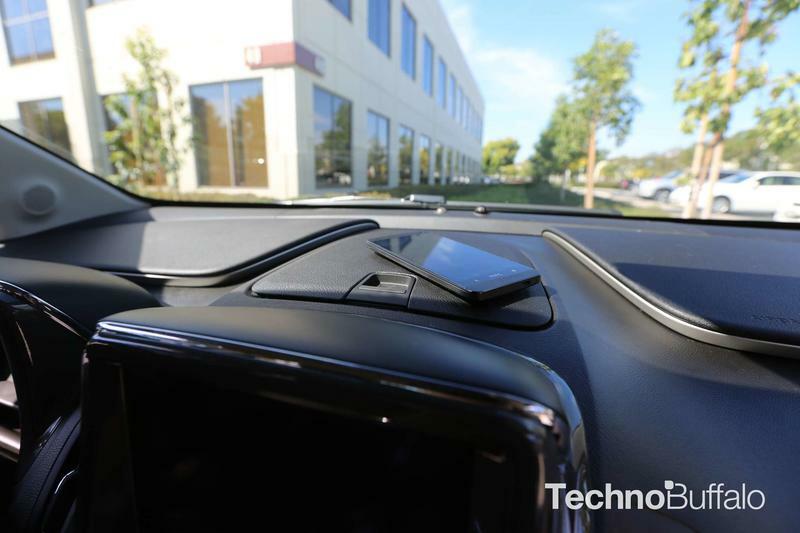 I placed one in my car to turn ON my Bluetooth and turn OFF the Wi-Fi on my phone. I hid it under one of the compartments on my dash, I didn’t want an NFC tag to be visible from outside the car. It works pretty well for having about a 1/3 of an inch of plastic and foam to read through. Also, the blistering heat has not had any affect on the adhesive, still stuck on strong. I set up a tag at the TechnoBuffalo office lobby area, so guests could access our Wi-Fi network if needed. I programmed the same tag to launch the browser and navigate to TechnoBuffalo.com. Just a tap of the phone and you’re connected. No silly passwords to remember or written on some scrap of paper. I would hope more businesses would do this instead of having to post signs with long Wi-Fi passwords. 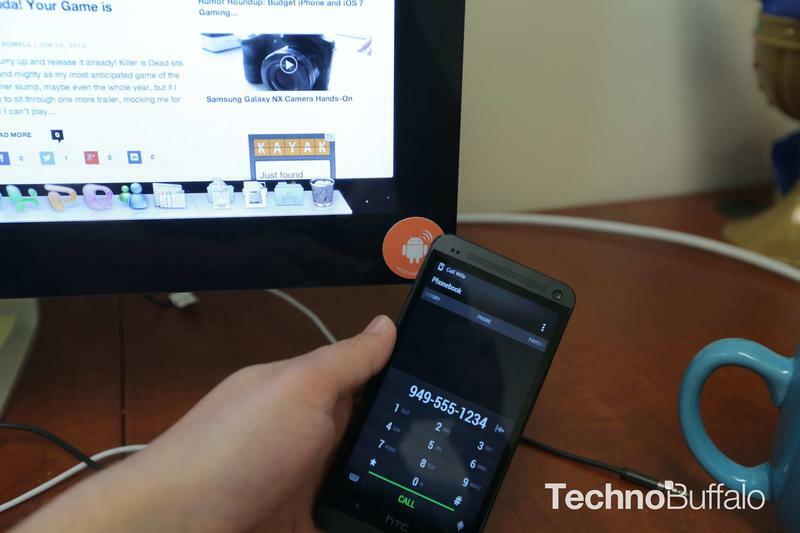 I have another NFC Tag set up on my monitor in my office to call my wife. I usually text more often than I do make phone calls, but the person I call the most from my cell phone is my wife. Sure beats searching for contacts, or a widget to call your most frequent contacts. 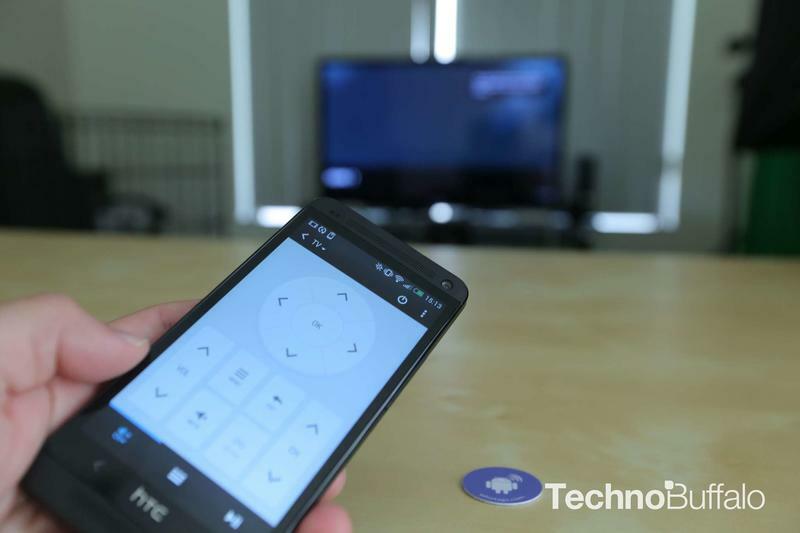 I programmed a tag to enable the HTC One’s remote app and IR blaster. The remote integration and NFC command is one of my favorite features. I always have my phone with me and in turn my TV remote, I use it to control my TV/Cable and it is fantastic. I set up another tag to turn on my phone’s Bluetooth, Wi-Fi and Pandora, which plays through a Bluetooth speaker. This process gets streamlined from 11 taps and swipes to just one tap. WhizTags have a pretty large capacity compared to lesser NFC tags, so I didn’t run into any issues programming the sequence of actions. Other useful purposes: I have heard of some users enabling the timer/alarm function on their phones with NFC Tags. Say when you are cooking you can tap an NFC by a drawer or cabinet to pull up your timer when throwing something in the oven, toggle on/off audio ringtones/alerts on your phone, toggling on/off an alarm, or checking-in to your favorite restaurant or bar on Foursquare or Facebook. I had a lot of fun setting up my NFC actions. Granted each instance only saves me just a few seconds per action, but overall I just found it easier not having to go search for the app or settings. I figure over a longer length of time those seconds add up to minutes and in turn hours. All in all the entire set up process took less than an hour. Most of that time was dedicated towards planning where to stick the tags and what actions to program. I suggest you dig through your phone to see if you can streamline any of your functions, use your data and battery more effectively. 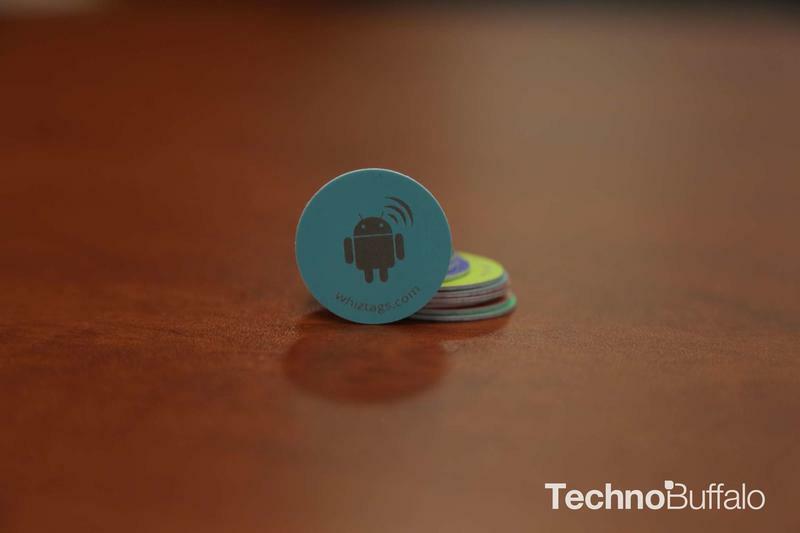 Happy NFCing and comment below on how you’ve used NFC tags in your life.